Really quick… I now have 125 followers; thanks so much everyone! Enjoy! Sorry about the lack of posting lately. I’ve been working a TON, especially this week (I’ve already done 31 hours and it’s only Wednesday…) because we’re opening hopefully by Friday! Cross your pretty fingers for me por favor. Moving on to my main post for the day. As a forewarning, the images below are pretty heavy. Intense and real. This was circulating the internet and it caught my eye; the reasoning behind all of them are issues that I think should be brought to light, so sharing it on my blog seemed like the right thing to do. The brains behind this is genius. Take a minute to read the description below that went with the photos. Let me know your thoughts if you do feel like sharing! “The first image refers to pedophilia in the Vatican. Second child sexual abuse in tourism in Thailand, and the third refers to the war in Syria. 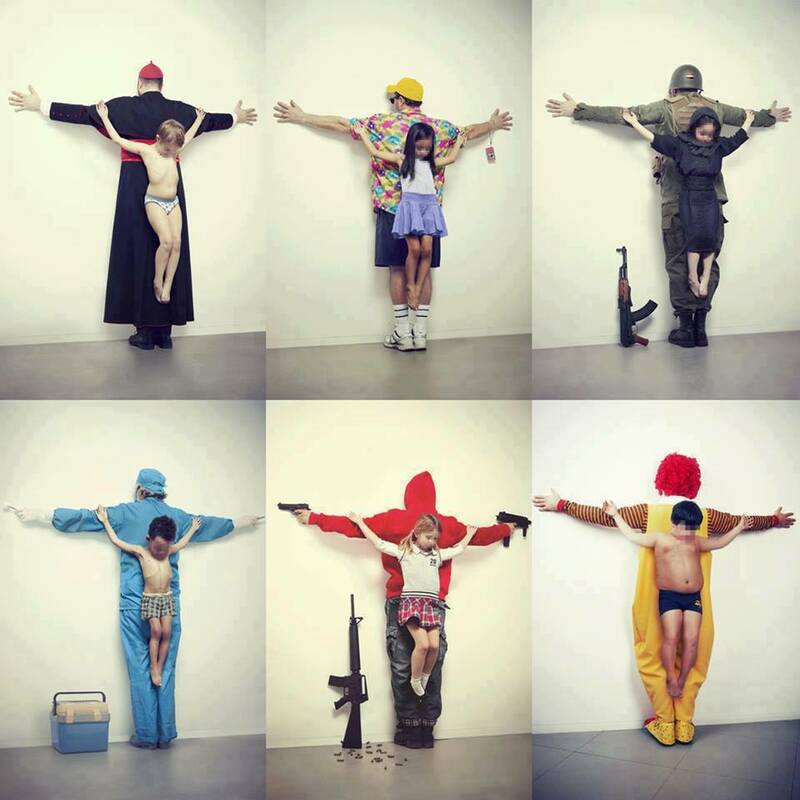 The fourth image refers to the trafficking of organs on the black market, where most of the victims are children from poor countries; fifth refers to weapons free in the U.S.. And finally, the sixth image refers to obesity, blaming the big fast food companies. 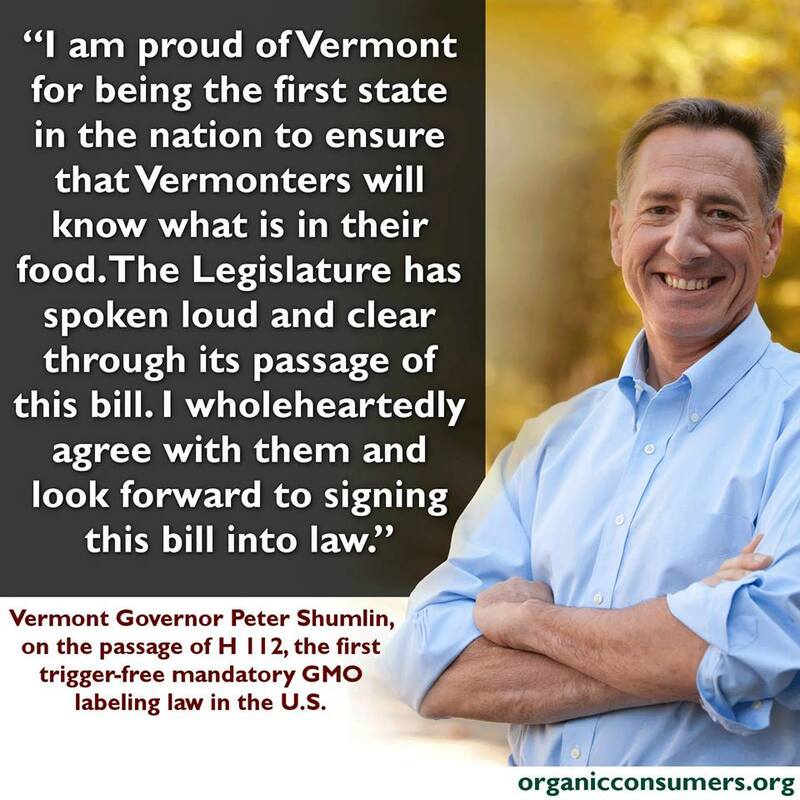 Go Vermont – Say No To GMO’s! My dears! I am so thrilled to say that I currently have 129 followers; slowly but surely making my way to the 150 mark! I love it, thank you thank you thank you. You may or may not know this about me, but I attended the University of Vermont for my four years of undergraduate college, 2009-2013. I L<3VE Vermont, the Burlington area and all that the Green Mountain State stands for, so whenever they do something awesome, I like to share it with the public. Although I didn’t entirely adore the frigid and long Vermont winters, I think that everybody would benefit living there for a year or two. They just care about this planet, and it’s something that I value and think everybody else should as well. I’m not just rambling for no reason, I swear. I came across this the other day and just thought it was something I wanted to share with all of you, just to spread the happiness. Let’s hope the other 49 states follow suit soon! This is a beautiful thing – I hope that only good will blossom from this. Crossing my fingers! x’s and o’s babes. Today was a good day. I had to be in New Bedford, MA at 8am for my ServSafe Food Protection Manager Certification, which meant I was up nice and early. I went into this class/examination thinking it was going to be an all-day affair, but to my delight it was only a few hours! There were about 8 of us in the class, which apparently is on the smaller side, so we got through all the material much quicker than anticipated. I got back home around 12:30 with the whole day still ahead of me! Max came over and we went to Carrs Pond to try out some outdoor rock climbing. We did some bouldering, which meant that we had no ropes attached to us, but we were climbing smaller scale rocks with short, powerful moves. It’s hard, but climbing outdoors is such a rush I can’t wait to do it more! 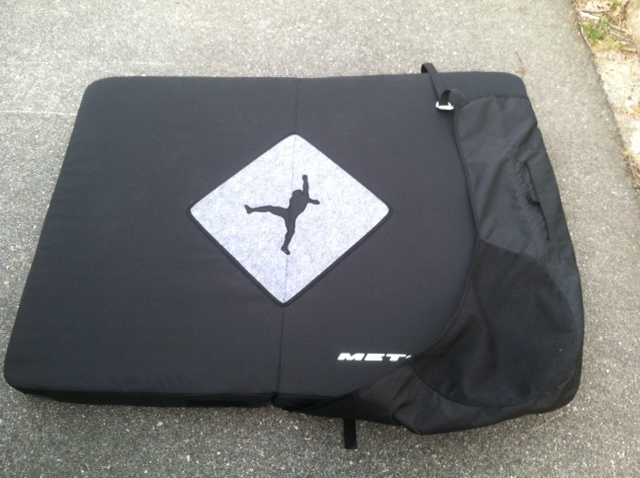 However, neither of us had crash pads the two times we have climbed outdoors, and it’s not nearly as cool of an experience without the crashpads. I can feel myself not taking daring moves because, well… I don’t want to fall and have my head split open. 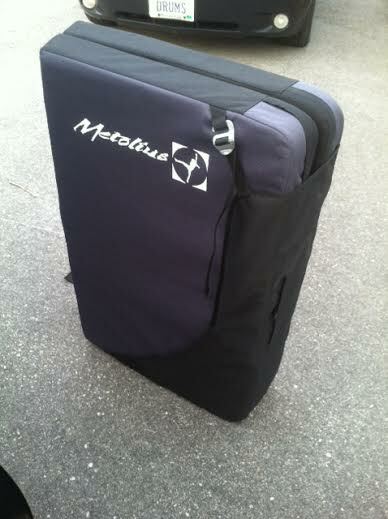 So, I bit the bullet and went with my two sisters to REI after Max dropped me back home and bought a Metolius Session Crash Pad. An extremely worthwhile purchase, and now I won’t die! Yes! Good stuff. It even has a square of carpet (middle of the top picture) for me to wipe my shoes off before I climb, and a pocket for me to stash some stuff. I’m content, despite it costing me some pretty pennies, but that’s how she goes. Like I said; it was a good day. In other news, I’ve been killing it with my fancy new dehydrator lately! I’ll have a separate post dedicated to all my goods made so far to make life easier. It’s so fun, and I’m thinking that I will actually start hitting the market with dog treats and other snacks in the future. If anyone wants to be a taste tester (or their adored dogs/pets), let me know! I must be off; dinner time for me my loves. You have survived the “hump day”, so smile because of that! If that doesn’t do the trick, hopefully this will. My mom found one of our kittens with this little guy. 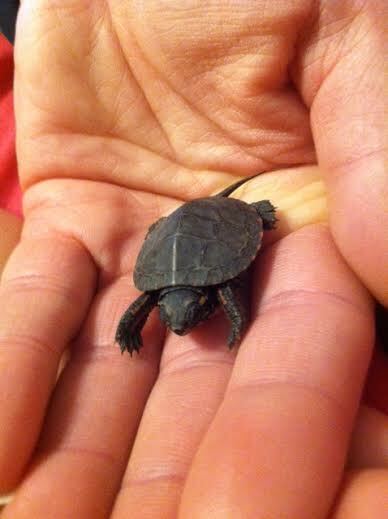 Don’t worry, he’s safe and sound released into our pond.